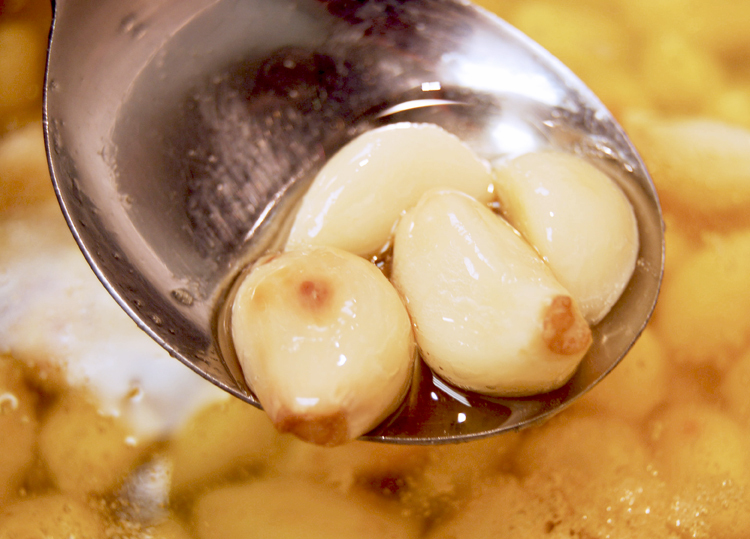 Garlic Confit is a staple in the Gascon larder and an excellent ingredient to have on-hand during the holidays. In this super easy recipe, fresh garlic is slowly cooked in duck fat which changes the firm, pungent cloves into soft, mellow, spreadable garlic goodness. Use as a spread on crusty country bread, add to mashed potatoes, pastas, soups, dips and casseroles. Add a few cloves right inside the cavity of your holiday bird! Here’s the recipe to view, download, print and share. Happy eating!